5 Ledgebrook Rd Weymouth, MA. 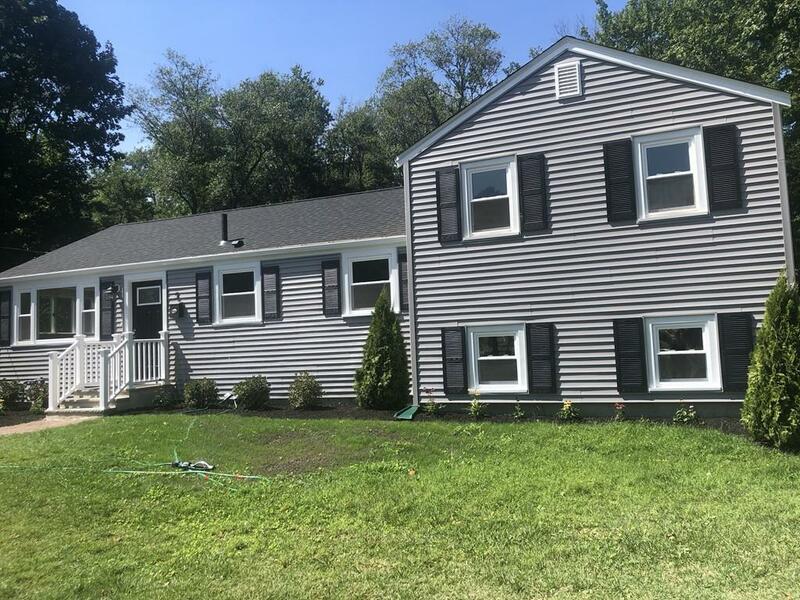 | MLS# 72387085 | Weymouth, MA Real Estate - Germaine Realty Group, Inc.
Nine room, four bedroom, two full bath newly remodeled contemporary three level home in sought after South Weymouth neighborhood minutes from the Hingham line. Brand new roof, windows, vinyl siding, heating system, hot water, and electrical. (just about everything has been replaced) Hardwood floors throughout most of the home. Gorgeous brand new kitchen with recessed lighting, stainless steel appliances, and quartz counter tops. Formal dining room with detailed wainscoting.Large rear deck over looking private backyard. Four spacious bedrooms with large closets. Two full bathrooms, one with a walk-in tiled shower with glass doors and a pedestal sink and the the other full bath tiled with a tub. Entertainment sized family room with light gray laminate floors and recessed lighting awaiting your holiday get togethers. Potential teen suite or in-law set-up opportunity exists with this unique three level set up. Minutes to Route 3, the Derby Shops, restaurants and all of the areas amenities.